We all know that Barack HUSSEIN Obama is a narcissistic LIAR of the first degree who will do any and everything to fundamentally change our beloved America into something totally unrecognizable to ‘We the People.’ And so on Tuesday, true to form, the man who is a traitor to everything America stands for stood before Congress and the America people, looked straight into the cameras and said he “would go it alone” if Congress did NOT work with him. In other words, the President of the United States…for all to hear…threatened Congress to either do his bidding or else his word and his word alone will be the law of the land…period. Gives new meaning to his previous threat to ‘use his phone and his pen’ to issue Executive Order after Executive Order to force the American people to accept and live by his socialist agenda. And when he spoke the words that “every mayor, governor and state legislator in America…you don’t have to wait for Congress to act,” he basically was saying to Congress that they were now politically impotent to do the job they were elected to do…as in to represent and do the people’s bidding. Hopefully these words…threatening and fighting words…will finally open Congress’ eyes to see the blatant misuse of power with its overstepping of presidential bounds this man now speaks of…and will finally force those in Congress to grow a spine and call for the immediate arrest of Barack HUSSEIN Obama for refusing to uphold the very Constitution he swore to protect and defend…but I’m NOT holding my breath for it. And the media…even FOX News…gave either NO or but cursory coverage to this most grievous of acts any president can perpetrate on the American people. 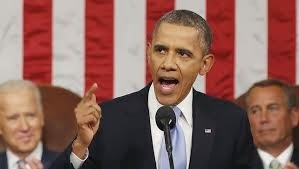 And there’s more…focusing a majority of this speech on his intended policies…and using rude and snide rhetoric to describe what he can and will do without Congressional approval, Obama said he will start by issuing an Executive Order post-haste to raise the minimum wage for certain government contract workers. While this would affect less than half a million people, he strongly “urged” (as in threatened) Congress to follow suit for all low-wage workers in America…translating into having low-wage workers NO longer striving to improve their lot in life as in it’s easier for them to just get by and rely on government handouts for the rest, for even with this raise in wage they would still qualify for his government handouts and freebies…thus remaining loyal to the Democratic party. 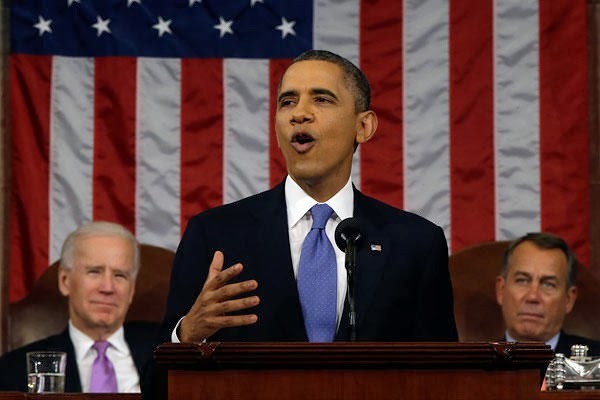 And more highlights of note of this most grievous yet at the same time most boring rehash of his previous State of the (Dis)Union addresses and failed to implement policies, Obama included his discourse on early education with a focus on pre-K for minorities. Wanting universal pre-school for all 4-year olds especially those in the inner-city…something that would cost we taxpayers a NOT so pretty penny…what this man and his liberal bleeding heart cronies do NOT understand is that the best investment in America’s children is NOT early education…the best investment in our children is a loving two-parent household that raises their own children until they are of school age. Parents should be their children’s first teacher NOT the (freakin’) federal government. And Obama waited 45 minutes into his address to even mention his so-called ‘legacy’ achievement (gag)…the monstrosity known as ObamaCare. ObamaCare… flawed from its conception to its roll out…had Obama saying, “Let’s not have another forty-something votes to repeal a law that’s already helping millions of Americans,” forgetting completely the to-date five million+ Americans forced off policies they liked and could afford…forced off through cancellation…simply because those policies did NOT cover what now Dr. Barack HUSSEIN Obama has deemed as necessary medical coverage. And let’s NOT forget all the ‘verbal props’ he used…stories of previously uninsured folks who now are just happy as clams that they’re covered by ObamaCare…NOT saying that those same folks were actually ‘covered’ for treatment before ObamaCare by simply walking into any emergency room in this country as they could NOT be turned away. 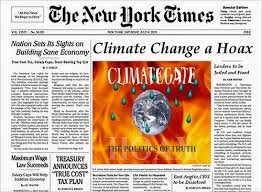 Climate change…global warming and cooling…a fraud perpetrated and pushed by former vice-president Al Bore…I mean Gore…was given the Obama touch ad-nausem. Still NOT understanding that there is NO such thing as climate change…it’s simply naturally occurring weather cycles that have happened since the Earth first formed and will continue until the Earth is NO more…Obama introduced emissions limits on power plants to cut pollution, and wants to cut through the red tape to help states build factories that use natural gas. He also “urged” (translation: threatened) Congress to end tax benefits for the oil industry and use revenues to invest in advanced vehicles that use cleaner fuels. He then spoke of eliminating $4 billion in tax subsidies for the fossil fuel industries “that don’t need it” and instead “invest more in fuels of the future.” But what he did NOT touch upon is the only source of true ‘green’ energy that leaves NO carbon footprint and would create millions of jobs in the process…nuclear energy. But Obama dare NOT upset the sensibilities and money flow to the party coffers of the environmentalists by even considering or mentioning this. And of course he bloviated his usual blah-blah nonsense about income inequality…formally known as redistribution of wealth…and his so-wanted bi-partisan support on amnesty for ILLEGALS…NO need for me to repeat his usual rhetoric concerning both…for focus needs to be put upon Obama’s trying to silence his critics who claim…and rightly so…that he is soft on terrorism and has done NOTHING to fight to win in Iraq and Afghanistan. And so Obama reserved a major amount of time to address foreign policy where he, unfortunately, has more leeway to act without Congressional approval. As he spoke of ending a war instead of finishing…as in fighting to win…a war, Obama completely forgets that it’s his announcing to the enemy our timetable for withdrawal that has allowed al-Qaeda and the Taliban to just sit back and wait until we’ve reduced troops and/or left completely and then walk-in and take back what American blood was shed to free. And this has already been done in Fallujah and Rimaldi. Only a ‘sort of about-face’ because Obama still refuses to admit that he was WRONG…totally and completely WRONG about al-Qaeda being decimated but hey, this is the man who is sending our taxpayer dollars and sending American guns and weapons to aid the al-Qaeda backed Syrian rebels in their fight against Bashir Assad’s government. Can’t outwardly condemn the very terrorists he is actually funding now can he….grrrrrrrr…. And another major foreign policy issue Obama spewed his true intentions on was Iran. This most miserable of presidents actually threatened to veto any new sanctions that Congress passes during ongoing Iranian nuclear disarmament talks adding that, “for the sake of our national security, we must give diplomacy a chance to succeed.” Give diplomacy a chance…NO…we’ve given diplomacy too much of a chance as it is while Iran uses that time to complete their nuclear weapons quest and then try to wipe Israel off the map. Good going Obama…more proof of whose side you really are on. 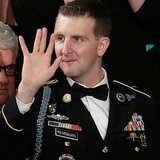 And while Obama did address other issues, the one thing that irked me to my core occurred as he was wrapping up his address, and that was his use of one of our wounded warriors (Cory Remsburg) as a ‘prop’ to push his socialist agenda. Shameful beyond mere words as our wounded warriors, returning troops, and veterans are those that this man’s policies have hurt the most…as he cuts their medical coverage, retirement benefits, and adds even more red tape for them to wade through to secure what’s rightly theirs. These most brave amongst us who lay their lives on the line everyday to keep us safe and free at home deserve better than to be used as props by a man who dishonors and defames them every chance he gets. 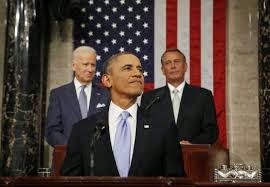 And so the bottom line of Barack HUSSEIN Obama’s State of the (Dis)Union address is that he will continue on with his destruction of our beloved America as he sees fit as our gutless, spineless Congress will most likely continue to sit back and do NOTHING even after being threatened and dishonored by a man who hates this country as much as we patriots love her.